Celebrate Historic Trees in the Phoenix Farm District on April 28th! 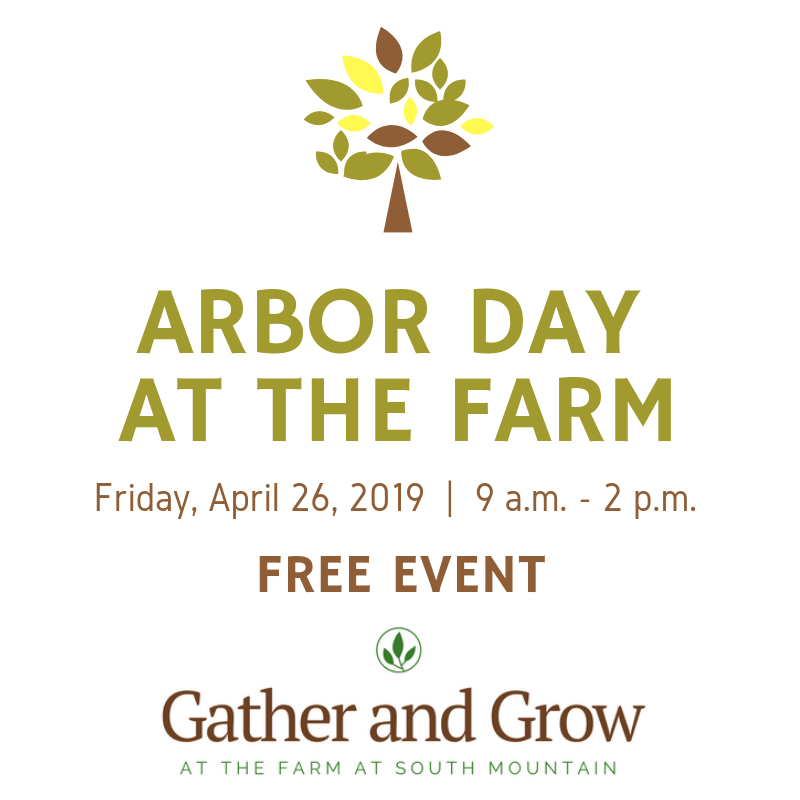 With over 160 trees, (some dating back to before World War II) it is only natural for The Farm at South Mountain to host a free celebration on Arbor Day for the community. A new sustainability area, Gather and Grow at The Farm at South Mountain, will be hosting its first Abor Day Festival on Friday, April 28, 2017 with free community activities and demonstrations. Gather and Grow’s mission is to be the model of sustainability for the Phoenix community. With its recent recognition as a Phoenix Green Business Leader by the City of Phoenix Public Works Department, The Farm at South Mountain is dedicated to teaching all members of the community about recycling, composting, gardening, aquaponics and educational sustainability workshops. Parents are encouraged to bring their children for the following free activities on Friday, April 28, 2017 from 9:00 a.m. to 2:00 p.m.
• Tree Scavenger Hunt – explore The Farm as you find different species of trees! Earn extra points by taking photos and using #TheFarmArborDay. The first 20 people to complete will win a prize! • Tree Ring Count – Guess the age of each tree stump by the amount of tree rings! Guests that have the correct answer will be entered to win a prize! • Bark Art Booth – Create your own tree art to take home at this bark art booth! At 12:00 p.m., the Gather and Grow at The Farm sustainability fellows will be demonstrating how to create your own compost. Learn how to create your own compost and the benefits of composting! Other sustainability organizations such as Trees Matter, LEAF (Linking Edible Arizona Forests), and Reimagine Phoenix, will be on site to provide resources and education. No reservations are required to attend. This festival is free to all attendees. If attendees would like to enjoy breakfast or lunch before or after the festival, Morning Glory Café and The Farm Kitchen will be open for regular business hours. *No outside food or drink is allowed at The Farm.